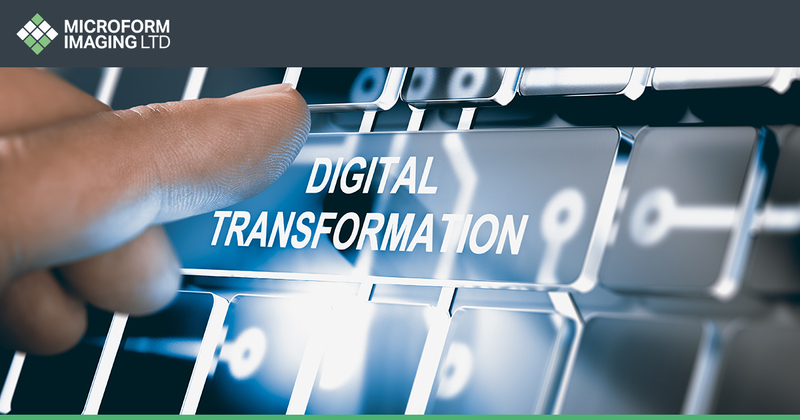 Companies and organisations throughout the UK and Europe are currently undergoing a series of evolutions in how they handle, process, secure, and produce digital data and information. Part of this of course, is due to what’s known as digital transformation. With GDPR incoming, consumer demand for heightened security, both offline and online, is at an all time high, which means businesses must look to digital assets and evaluate whether the data they keep is secure. Tying in with this, changing technology is a big factor in both security and digital transformation, as many companies have been found not to have updated their systems in more than ten years. This means that not only will systems be deficient in the levels of security that they provide, but that they might not even be able to provide the appropriate services for customers. Our secure scanning services, document management systems, and data archiving solutions help not only bolster security, but also help push organisations forward in their technological capabilities. It is without doubt that the longer a company or organisation waits to press ahead, the more that it will lose out to competitors. Using our state of the art scanners we are able to scan and digitally secure thousands of documents per hour, ensuring the integrity and safety of every single character. Once that documents have been scanned, they can then be transferred to highly secure document management systems that are uniquely designed for each client by Microform. This means that security is prioritised while remaining completely accessible to qualified personnel. Whether you wish to grant secure access from anywhere in the world, or from just a single IP address, we work with each and every client to ensure that their systems are designed totally for their needs. Alongside document management systems, we also offer fully bespoke cloud-based storage systems for clients that want fast and secure access to scanned files and other information. Forever protected throughout the secure ISO27001, it means that microfilms, paper documents, and a variety of other physical formats are immune from specific dangers such as floods, fires, and other unforeseen environmental conditions. What’s more, cloud management systems can also help save money by increasing efficiency throughout the working processes of a business and even SMEs can find themselves saving hundreds of hours a year. As stated already, it’s never been more important to ensure that your data is kept safe, even when you no longer need it. For this reason, we offer secure document disposal facilities to ensure that all unwanted material and information is destroyed. If you want to know more about how we can help your business in its next step to becoming digital, contact us on 01924 825 700. Next Article How can document scanning support your business in becoming GDPR compliant? Previous Article GDPR: What does it really mean?